Learn more about some of the top female professional tennis players on the WTA world tour. 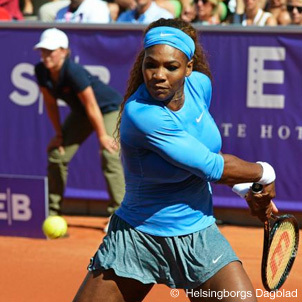 Over the years women’s tennis has evolved significantly and it’s more competitive than ever. Following suit is the caliber of women tennis players, which has grown significantly, and it’s been an exciting transformation to watch unfold. With players from virtually every corner of the world and arguably the strongest depth of field ever, now is an exciting time for women’s tennis as well as the fans that get to take part in the action. Players like Serena Williams are a testament to the evolution of women’s tennis and embodies the strength of the sport. With arguably the best serve in women’s tennis, commanding groundstrokes and a strong record Serena is an exciting player to watch compete. Whether it’s her undeniable skills, fashion sense or friendly off-court demeanor Serena is without a doubt one of the best female tennis players to have played. Maria Sharapova is another player with a big game that speaks to modern women’s tennis. With powerful groundstrokes and a strong serve, Maria is an extremely competitive player and a mentally tough. Add to that a wide variety of women’s tennis players, such as Victoria Azarenka, Marion Bartoli, Petra Kvitova, Caroline Wozniacki and Jelena Jankovic, it’s clear that women’s tennis has truly evolved with a new generation of female tennis players that are extremely competitive and helping take the game to new heights. With new players coming onto the tour and year round competition it can be a lot of work to keep track of players. As a result, we’ve put together player profiles for some of the top women’s players in the game so that you can learn about them and keep up to date with the latest news that relates to each player.